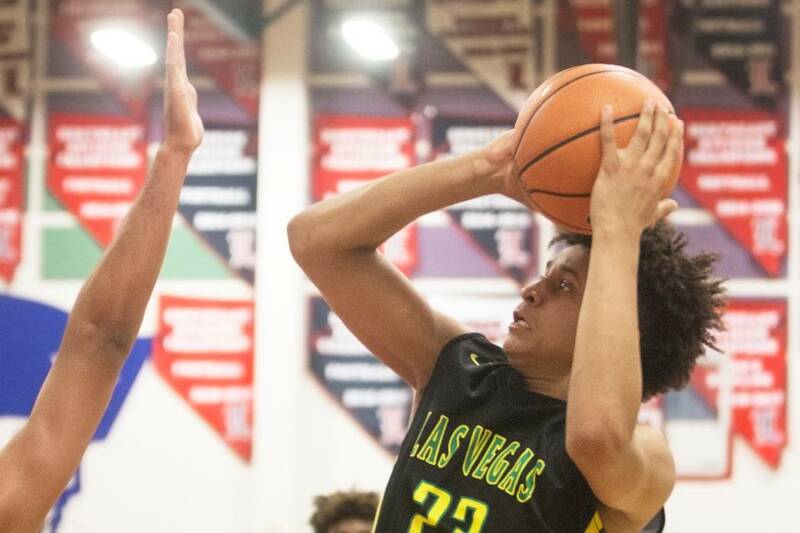 Jalen Hill will conclude his AAU basketball career at the Las Vegas Classic as one of the country’s top 100 recruits and the most productive player on the ultratalented Las Vegas Prospects. Clark senior-to-be Jalen Hill doesn’t play any specific position. 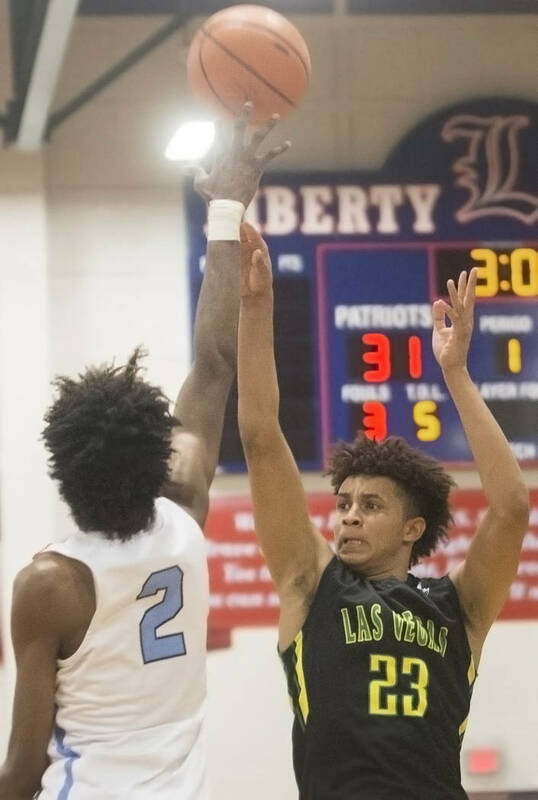 Hill will conclude his AAU basketball career at the Las Vegas Classic as one of the country’s top 100 recruits and the most productive player on the ultratalented Las Vegas Prospects, who played in Nike’s Elite Youth Basketball League. 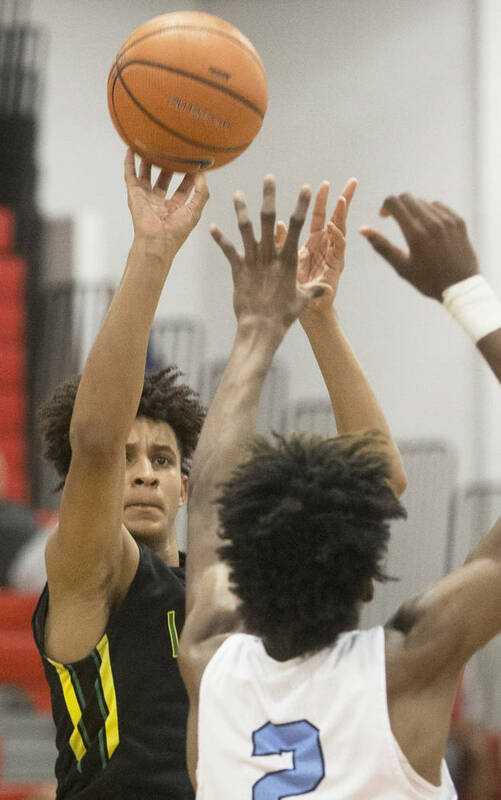 The 6-foot-7-inch, 210-pounder played the spring and summer alongside local five-star recruits Jaden Hardy and Julian Strawther and five-star Californian Josh Christopher and led the team in scoring, rebounding and field-goal percentage. Colleges didn’t always notice Hill, who doesn’t play with the pizazz inherent to most top players and was unranked for most of his high school career. 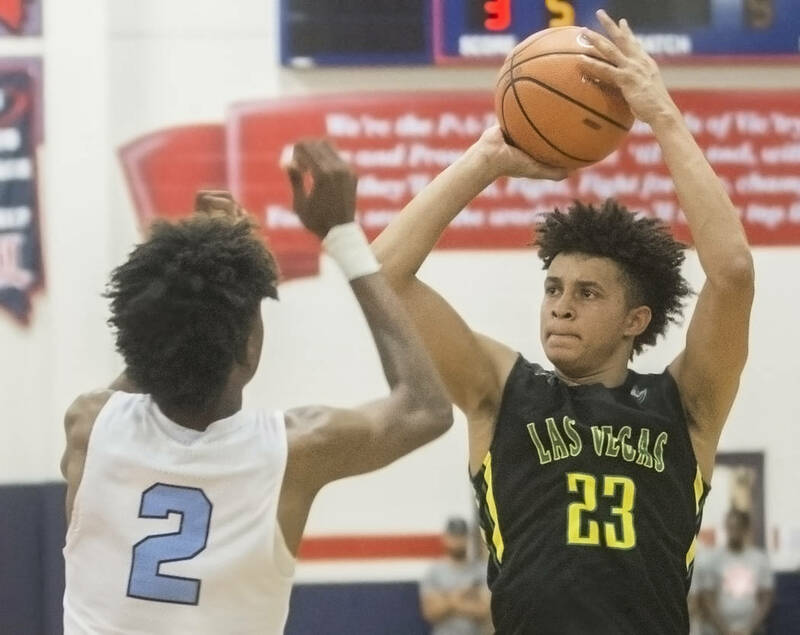 But they did this year, and he’s entertaining more than a dozen scholarship offers from major colleges such as Arizona, Arizona State, Minnesota and Illinois — all of which he earned during this AAU season. 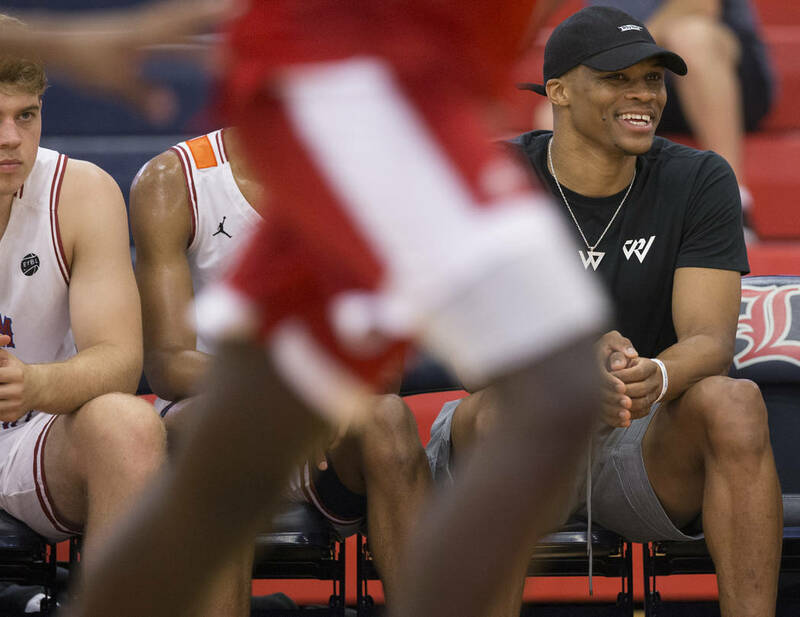 He does everything for the Prospects, from handling the ball, to guarding 7-footers. to creating for himself, to creating for others. In turn, he averaged team highs of 17.5 points and 7.5 rebounds while shooting 53.5 percent — the best among rotational players. 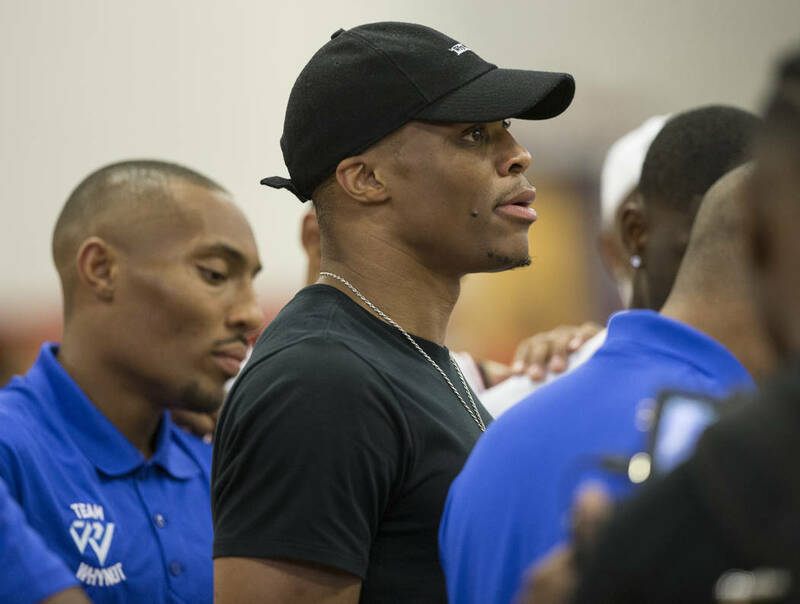 Hill spent part of the spring training with former Centennial and Prospects star Troy Brown as he prepared for the NBA draft. The work, Hill said, validated his potential and helped him stand out in the spring and summer. Hill plans to start taking official recruiting visits in August to some Midwestern schools. The rest of his visits have not been solidified because there are still so many colleges calling him. But he knows this much: He wants to go somewhere he can play a lot as a freshman. And with his skill set, there’s a good chance he will.